This blog was shared from the Arts & Business Council of Miami. 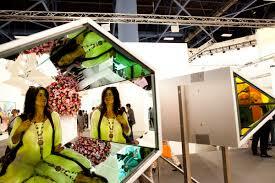 The 2014 edition of Art Basel week in Miami featured the perfect marriage of arts and business. The city was alive with high-end private parties; pop up exhibitions and roving ads on cars, scooters and even people. Millions of dollars in art sales, restaurant meals, hotel rooms, and luxury car rentals exchanged hands. Beyond the dozens of satellite fairs and thousands of gallery booths catering to collectors, Miami Art Week offered a far more compelling benefit for businesses eager to court potential clients. Pacesetters from all industries and brand power houses swooned at the reach of art week. Developers, financial investment companies, tech start-ups, luxury car brands and more cleverly leveraged the arts as a strategic imperative for business. These companies know the arts mean business. During Art Week, the Arts & Business Council of Miami hosted an Access Breakfast Forum with the Beacon Council to discuss how the arts are transforming Miami and why the creative industry matters to business. Donna Abood, Chair of the Beacon Council, Miamiâ€™s official economic development partnership, welcomed participants and thanked sponsors. Laura Bruney, President and CEO of Miamiâ€™s Arts & Business Council opened the program with some astonishing facts. The arts industry in Miami-Dade has a 1.1 billion dollar impact and employs 30,000 full time workers. More than 13 million people participated in the arts this year and thousands of business professionals shared their skills as volunteers and board members. Cultural tourism, a major component of brand Miami brings 5 million visitors each year. Featured speaker, Robert Lynch, President and CEO of Americans for the Arts kicked off the program talking about how the arts bring a competitive advantage to companies that are involved. He has worked for more than 38 years to empower communities and leaders to advance the arts in society. Under his direction, Americans for the Arts has become a leader in documenting and articulating the key role played by the nonprofit arts and culture industry in strengthening our nationâ€™s economy. Nonprofit arts organizations are employers, producers, consumers, and key promoters of their cities and regions. Most importantly for todayâ€™s discussion they are valuable contributors to the business community. Thereâ€™s always been tension between involvement with the arts and the need for the arts. There is a movement going on in our country that is shining a spotlight on the competitive advantage the arts provide to business. â€œBusiness support for the arts isnâ€™t a charity; itâ€™s an investment that creates shared value through mutually beneficial partnerships.â€ He outlined the value the arts bring to business including brand empowerment, leveraging connections with clients and consumers, professional development that encourages innovation and creativity, and enhancing the workspace. Involvement with the arts is good for executives, clients, shareholders and employees. Mr. Lynch also talked about the BCA 10, Americans for the Arts awards that recognize 10 businesses for their exceptional involvement with the arts that enrich the workplace and the community. Hallmark Cards was a recipient this year. At the awards ceremony in October, their CEO, Donald Hall said â€œAs the highest expression of the human spirit, the arts give form to profound insights and bridge cultures and generations. They stimulate creative thinking and create vibrant communities for us allâ€¦Hallmark sees the arts as a source of renewal and inspiration for our employees and our business.â€ Extending partnerships to span all industries and fostering collaboration is building the new economy of ideas. Following Mr. Lynchâ€™s inspiring talk our impressive panel took center stage. Ms. Bruney introduced each panelist and asked them how their organizations are connecting with business and the community. Suzette Espinosa Fuentes, Assistant Vice President for Public Relations at the Adrienne Arsht Center spoke about how they are creating a town center. Their strong partnership with Miami-Dade schools brings every fifth grader to the center to attend a performance of Rock Odyssey, an innovative show sponsored by the Knight Foundation and local businesses. â€œThis unique cultural experience is building our audiences of the future. Itâ€™s the perfect example of how the arts renew the spirit, create transformational experiences and leverage partnerships. Arts in education is adding the A to STEM to make STEAM and foster creativity and ingenuity in our next generation.â€ In addition, the center hosts a free Family Fest four times a year that brings the community onto the plaza and into the center for free performances and activities. The Arsht Center has become a town center because the community wanted it and fostered it. Beacon Council President & CEO Larry Williams closed out the morning on a high note sharing the impressive economic impact figures for Miami-Dadeâ€™s creative industries. Mr. Lynch summed it up the breakfast forum best by saying that extending partnerships to span all industries and fostering collaboration is building the new economy of ideas in Miami.